Qualities suggestive of poetry and painting are China's traditional aesthetic in the upholding of artistic boundaries. I consider that poetic sentiment and pictorial means represent a pinnacle in creating art for the purpose of life. Song Yuanwen studied at the Baishan Art School in Liaoning in 1948 and further studied printmaking between 1956 and 1961 at the Central Academy of Fine Arts, Beijing. He taught in the faculty from the time of his graduation until the mid-1990s. 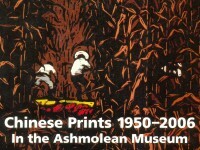 He was the head of the Printmaking Department of CAFA and former Chairman of the Chinese Printmakers’ Association. 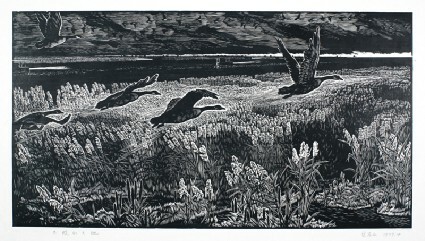 His social role and academic position represent an official stand and have influenced the direction of modern Chinese printmaking. 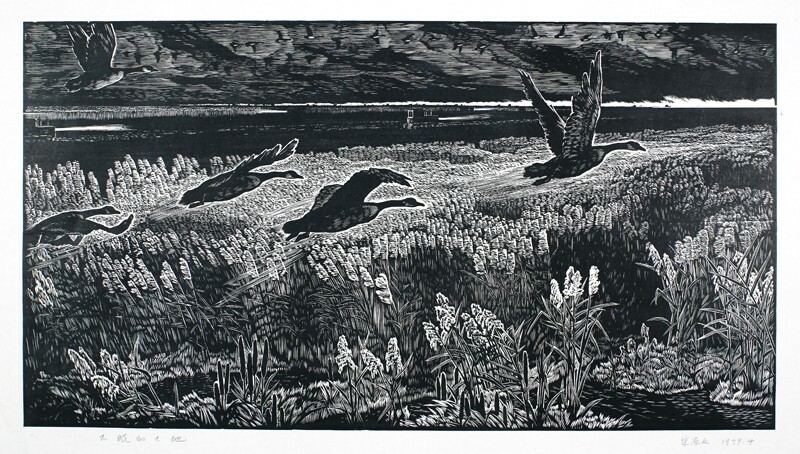 His woodcuts are predominantly monochrome, poetical depictions of the vast northern land.